It's always exciting to have the chance to play at a new venue, but that's magnified when the venue looks as stunning as Carriages in Oswestry! This lovely restaurant is under new management, and I've been seeing some fabulous reviews reflecting really positively on the food, the venue itself, and I've heard that the staff are also fab. Therefore, I feel privileged to be able to take to the stage at Carriages, and will be going all out to make sure that I match the high standards that they are setting. I'll be playing live at Carriages this coming Friday (April 12th) from 9pm, and am already booked to return three more times later in the year. Yesterday I had the immense pleasure of playing The Loopy Shrew's 'Sound of Sundays' session in Shrewsbury. In a switch from what was the usual lively Friday night slot, I wasn't quite sure what to expect from a 5 'til 8pm Sunday session. Well, it seems that Sundays are the new Fridays, and I needn't have worried, as this was one of the most enjoyable gigs I've played in a very long time. Evening gigs are great, but as a performer you have to be aware that people are out to socialise, there's more ambient noise, and for the most part the music is in the background. Playing to an audience which is facing you and listening to the music, as was the case on Sunday, is a rare treat and a lovely experience. This is afforded by the more chilled-out nature of an early evening Sunday crowd, and not wanting to be too grandiose, it felt like more of an intimate little concert than a regular gig. 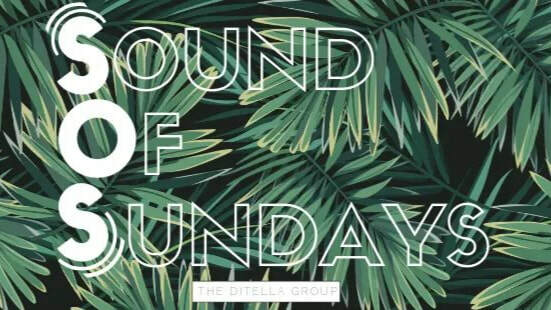 I was initially disappointed at finding out that there wouldn't be any more Friday sessions at The Loopy Shrew, but straight away have become completely smitten with the new 'Sound of Sundays' vibe, and really can't wait to do it again in a couple of weeks time! My next Loopy Shrew 'Sound of Sundays' session will be on April 7th, from 5 'til 8pm. After a couple of quiet weeks, all of a sudden the bookings have started to come in thick and fast for 2019, and the diary is starting to fill up. I'm delighted to be heading back to favourite stomping-ground THE LOOPY SHREW in January, February and March, and also have multiple dates to look forward to at RIVERBANK in Shrewsbury, THE BAY TREE in Welshpool, and a couple of dates later on in the year at Ludlow sister venues THE OLD BAKEHOUSE and YE OLDE BULL RING TAVERN, and THE TALBOT in Welshpool. Lots to look forward to already, and I really can't wait to strap the guitar on again and get back behind the microphone! Having played the last two Saturdays at the Lion + Pheasant in Shrewsbury, I can confirm that the festive season is very much in full swing! I have two more gigs remaining to finish off the year, and I'll be going all-out to make it a lively end to 2018. My penultimate performance of the year will be at THE KING'S HEAD in Guilsfield on 'Mad Friday' 21st December. ​My last gig of the year is, very suitably as far as I'm concerned, at THE LOOPY SHREW in Shrewsbury on Friday 28th December. I love playing at 'Loopys', and it's become my most regular venue, which I'm extremely happy about! After that, it's onward to 2019. I'm keen to get some dates booked in for next year, so if anybody knows of any venues looking for a musician, I'm poised and ready to start filling my new diary! A DOUBLE HELPING AT THE LOOPY SHREW, AND A BIG MILESTONE! Over the next two weekends I have the pleasure of playing back-to-back Friday evening gigs at one of my favourite venues... THE LOOPY SHREW in Shrewsbury. And, as if that wasn't enough of a thrill for little old me, these will be my 299th and 300th gigs since starting back in 2012! It's always been an absolute joy to play at this lovely, vibrant venue, and as it's such a nice intimate setup there, it's one where there's often a good amount of interaction with willing audience members. Song requests are very much the order of the day at Loopy's! As always, I'll be going all-out to make these gigs memorable ones, and can't wait for the weekend to come around. I'll be at The Loopy Shrew on Friday 28th September and Friday 5th October. Music starts at 8pm, and runs through until 11. This Saturday (22nd September) sees a long-awaited return to THE PHEASANT INN in Welshpool. I don't play many pub gigs these days, so this one which is very local to me should be a real treat, and lots of fun. I'm hoping to see lots of familiar faces at this one! This coming Friday, I'll be playing for the first time at HAVANA REPUBLIC in Shrewsbury. Havana Republic brings an essence of Cuba – the rum, the vibrant party atmosphere, and finger lickin’ great food – to Shrewsbury! Open 7 days a week serving Latino Flavours with a hint of Caribbean spice & the comfort of the Deep South – as well as stocking the biggest range of rum in town, delicious cocktails and beautiful coffee – plus live music every weekend! I'm really looking forward to this one, and it promises to be a lively evening! As usual, song requests are very much encouraged, and I'll be going all-out to make it a fun one! This Friday evening (June 15th) I'll be making my first appearance at EAT AT EIGHT on Wyle Cop in Shrewsbury. Eat at Eight is a restaurant & cocktail bar which provides super-healthy food created using locally-sourced ingredients. Please feel free to contact them to book a table, or pop in on the night for a drink, and listen to me playing an eclectic mix of songs. Music runs from 8 'til 10pm. This coming Friday (16th February) I'm delighted to be heading back to play in the bar of the lovely MYTTON & MERMAID HOTEL at Atcham. My last appearance in the bar at the M&M was way back in November 2015, and was my last gig before I had to take a long, enforced layoff on health grounds. Therefore, I'm really looking forward to heading back in better health, and am ready and determined to make it a good one. ​Following on from busy evening playing at the wonderful Loopy Shrew in Shrewsbury on Friday, I'm delighted and proud to be able to announce that I have another 6 dates confirmed there throughout 2018. "Loopy's" is right up there amongst my favourite venues to play at, and on any given night there always seems to be lovely people in attendance, who are happy to get involved and have some fun. This makes playing all the more enjoyable, and can often send a gig in a different direction when song requests are coming in. Therefore, I couldn't be happier when they asked me to put some dates in the diary for the remainder of the year. As is usually the case, January is a quiet month on the gig front, with just a couple of outings for me. That came last night, and marked my first performance at THE TOP HOUSE in Weston Rhyn. It's always exciting, and a bit nerve-racking to play a venue for the first time, as you never know what to expect, but although it was a bit quiet (another familiar feature for January gigs before payday! ), the people who were in attendance were really friendly and keen to get involved and request songs. All in all, it was a fun evening playing for some really nice people, and The Top House's landlord & landlady really made me feel at home. If they'll have me, I'd be more than happy to make a return! This evening (Sat 16th Dec) I start a run of four festive gigs, all at very different but equally lovely venues. As my illness- enforced layoff included the end of 2015 and pretty-much the whole of 2016, these will be my first Christmas gigs for three years! Therefore, I've had to go back to the drawing board with respect to re-learning some Christmas songs. As we head towards the end of a really good first year back after my 14-month health-induced layoff, I'm on the lookout for new venues to add to my map, or the chance to reconnect with some old ones. It's been wonderful to be able to get back to doing what I love the most; travelling to lovely places, and performing for even lovelier people! If anybody knows of any nice venues in the Shropshire/Mid Wales area who may be interested in having me to play, I'd be really happy to have them pointed in my direction. Whilst I was off the scene last year, I lost a number of my regular venues, as they either ceased trading, changed hands, stopped staging live music, or the person booking performers changed. It's really difficult getting a first opportunity at a new venue, but I'm confident that on having that opportunity I won't disappoint. If anyone could help to spread the word, I'd be really grateful. This coming Sunday (22nd October), I'll be making a return to a venue that I haven't played at since September 2015. Sunday afternoon sessions are a rare treat, so I'm really pleased to have been able to accept a late chance to return to what was a regular haunt for me... Shrewsbury's PORTERHOUSE. PorterHouse is a really lovely restaurant/bar, which offers "British food with an American twist", and everything you could wish for drinks-wise. A fun Sunday is on the cards, and music will run from 5 'til 8pm. This Friday evening (1st September), I'll be making my first appearance at a beautiful Oswestry venue, THE TOWNHOUSE. This sumptuous restaurant and cocktail bar appears in the Michelin Guide, and comes very highly recommend by my friends in the town. I'll be playing in the bar from 7:30 until 10pm, and am very much looking forward to experiencing the Townhouse atmosphere for myself. This coming Saturday (12th August), I'm delighted to be heading back to play at my local pub, THE KING'S HEAD in Guilsfield. I'm really looking forward to this one, and have a feeling that it could turn out to be a lively one, especially once Guilsfield FC return with 3 points (hopefully!) from their season opener away at Rhyl. I'll be playing live from 9pm until late, and all are welcome. It was really great to be back playing at THE BAY TREE in Welshpool on Saturday evening. I last played there in March of 2015, and much has changed in these last two years, both for me and The Bay Tree. During the day it's a tea room / restaurant, but in the evening it's now Welshpool's only cocktail bar, offering a wide range of drinks, tapas, and live music. ​I thoroughly enjoyed playing in the warm, relaxed atmosphere of The Bay Tree, and am delighted to be heading back there on Saturday 5th August. Here's a video of me playing Coldplay's 'The Scientist' at The Bay Tree, and if you head over to the 'Audio / Video' section of this site, you'll find a couple more songs recorded on Saturday, AC/DC's 'You Shook Me All Night Long', and Ed Sheeran's 'Galway Girl'. This coming Sunday (9th July) I'm heading back to the MYTTON & MERMAID, a venue which used to be one of my most regular haunts. My last appearance there was way back in November 2015, and little did I know at the time that I wouldn't play live again for 14 months! Two major operations later, and after a long struggle getting back to full fitness, I'm really pleased to be able to get back to this lovely Shropshire venue. I'll be playing from 5 'till 8pm. Thanks to my good friend Sally Williams, I've been able to add a few video clips from recent gigs. Having the opportunity to analyse a performance is always an experience. Notice that I didn't say whether I find it a good or bad one! Anyway, Sally, being a glutton for punishment, has been to a few of my gigs lately, and has very kindly taken some video clips and shared them with me. The results can be found in the Audio/Video section, and below is a taster of Human by Rag 'n' Bone Man. This coming Saturday (24th June), I'll be returning to the venue at which I made my 2nd ever live appearance back in 2012. That was a 30-minute set, in horrible weather, at Welshpool Music Festival. All of my subsequent appearances at The Talbot have been supporting slots, but this time I'm delighted to have an evening of my own for what will be gig #243. Its been three long years since I last played there, so I'm really looking forward to getting back to a venue which boasts a large beer garden, and can turn out to be a really lively space when there's music on. I'll be doing everything in my power to make sure that's the case this time around. ​Music starts at about 8:30. 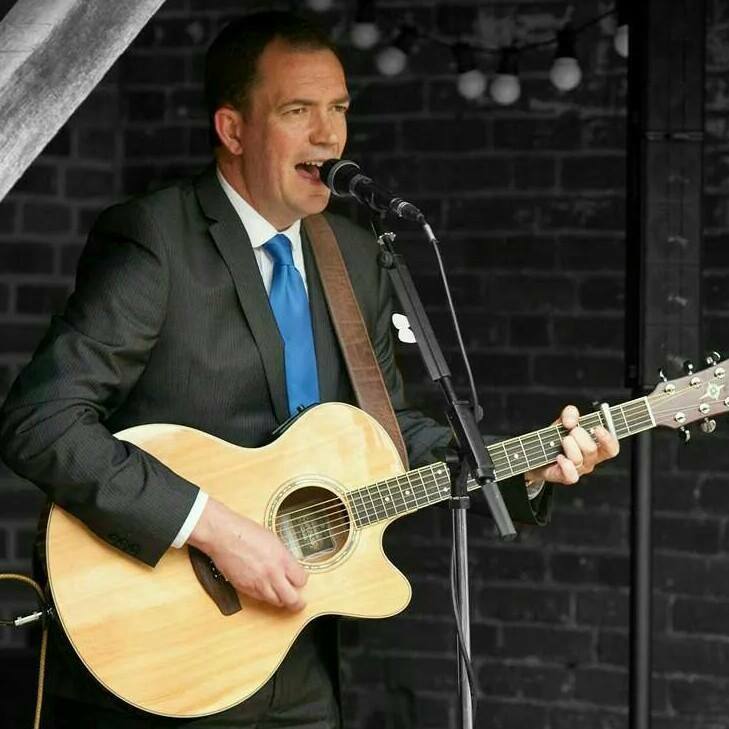 Following on from a private party booking, my next public gig will be at one of my local pubs, THE OAK INN in Guilsfield on Saturday 17th June. With a bit of luck, summer might decide to make an appearance, and I'll get to perform outdoors. The next few weeks sees an unusual run for me, where three of my next four gigs will be private parties. This Saturday sees me at The Bank in Wrexham, playing at the birthday party of Sam Regan. Sam is now the owner of Wrexham's The Lemon Tree, but was head chef at The Royal Oak in Welshpool when our paths first crossed. Sam and Dai Robs got 'Oak Live' up-and-running, and I'm eternally grateful to them both for the huge part they played in giving me the opportunity to get started as a live performer. Following on from Sam's birthday gig, I have a wedding party (Annabelle & Matt in Trewern), and another birthday party (Donna in Newtown). These gigs will be punctuated by a lovely Bank Holiday Sunday evening gig at a regular venue of mine, Wilsons in Oswestry. Coming back after 14 months away from the local music scene while I was ill, it's been difficult to get back in with the venues I used to play regularly. This is down to a number of factors, not least the number of talented musicians we're lucky to have in the area. But, luckily for me, Wilsons have been really supportive, and I'm really proud to still be able to play there! I'll be playing at Wilsons on Sunday May 28th, kicking off at 9pm. After two really lovely gigs in Ludlow and Shrewsbury, I'm starting to feel like I'm getting back into the swing of things after my year away. Therefore, I'm keen to keep the momentum going, and what better place to do that but the fabulous CROMWELLS in Shrewsbury? It's a family favourite of ours as a place to eat and drink, and my first gig there a month or so back was lots of fun. This one will be outside in their beer garden on Friday 5th May, and will hopefully mark the start of a successful summer of music at Cromwells. I'll certainly be going all-out to try and ensure they get their outdoor music off to the best possible start, and am already wishing the week away in anticipation! This coming bank holiday weekend brings two lovely gigs in two great Shropshire towns. First up, on Friday 28th April (8:30 start), is my first appearance at THE CHURCH INN in Ludlow. It's been a really long time since I last played in Ludlow, so I'm really looking forward to going back, and hopefully catching up with some old friends. Then, on Sunday afternoon (30th April, 2 'til 4pm) I'll have the great honour of playing outdoors, right next to the River Severn at the beautiful BOATHOUSE INN in Shrewsbury. The Boathouse have a cider festival running all weekend, and there's always a big crowd at what is one of Shrewsbury's most popular places. I really can't wait for this one! I played indoors there on New Year's Eve, but haven't played on their riverside terrace since August 2014. Following a really great gig on Thursday at THE POUR HOUSE in Shrewsbury, I've now got a three-week break until my next performance. That will be the first of a number of private parties I've been booked to play, and could be an interesting one, as my audience will consist mainly of 8-year-old girls! EEK!!! I have no idea how it'll go down, but I plan to have some suitable song choices ready! After that, it'll be THE BIG BUSK in Shrewsbury (Saturday April 1st), where I'll be playing three half-hour slots in the town centre. Then, the following week (Saturday April 8th), it'll be lovely to get back to a normal gig in my home village at THE OAK, Guilsfield. As the guitar will be put to bed for a week or so, I thought I'd put up another quick 'unplugged in the living room' video. This time it's The Killers' Mr Brightside. Hope you enjoy it, and I hope to see some of you out and about in the coming months! This coming Thursday (2nd March) will see me play my 3rd consecutive new venue. 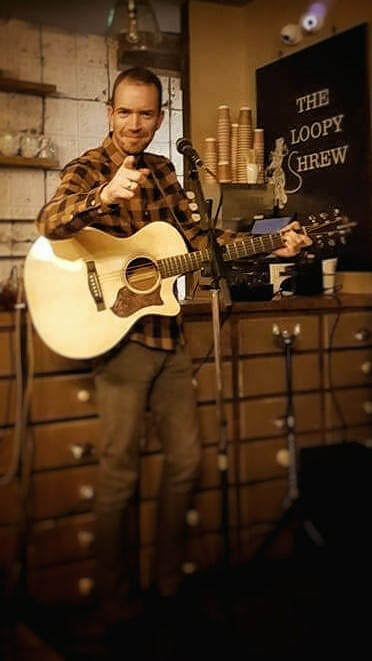 Following last week's debut gigs at Wrexham's The Lemon Tree, and Shrewsbury's Cromwell's, I'm really looking forward to playing THE POUR HOUSE. Situated in Shrewsbury's Frankwell, The Pour House is a really lively and vibrant bar, which specialises in cocktails, incredible milkshakes, and has quickly become renowned as a great live music venue. Despite my recent unusual run of debuts, it's not easy to get a first opportunity to play at a venue, so it's always really exciting when that chance is presented, and I'll be going all-out to do myself justice, make a good impression, and repay the faith they've shown in booking me. I had some really great support at Cromwell's last Friday, and am keeping everything crossed for a similarly enjoyable evening at The Pour House. I've heard that Thursdays are the new Saturdays, so I promise that this will be a lively one! Music starts at 9pm. Be there, or be an equilateral parallelogram!!! It has been 16 months since I last played at Wilsons Wine Bar in Oswestry (October 2nd 2015 to be precise), but I was delighted to have been contacted today and asked to play there this coming Friday, 3rd February. It's always great to play at such a lovely venue, and it's nice to know that I haven't been forgotten. I'm really looking forward to this one! Music starts at 9pm. My first gig of 2017 will be on Saturday 14th January, at The Miners Arms in Priest Weston. ​It will be my 2nd appearance at this lovely country pub situated between Montgomery and Bishops Castle, and if it's anything like my first one, it'll be a fun evening! It was wonderful to be able to see out 2016 by playing for three hours on New Year's Eve at Shrewsbury's gorgeous Boathouse Inn. I had no intention of playing New Year's Eve this year, but with my voice feeling okay after the last couple of gigs, I felt that when this one was offered to me a couple of days before, that this opportunity was too good to miss. Also, I had to let down The Boathouse's sister venue, The Lion + Pheasant last Christmas when my health problems first reared their ugly head. Therefore, this was also a chance for redemption as far as I was concerned, so I was really relieved that they were happy to show faith in me again. Here's wishing you all a very Happy New Year, and a healthy and prosperous 2017. Thank you from the bottom of my heart to everyone who has helped to pull me through a very tough year. Your suppirt and friendship means more than I can express in words. I hope to see you out and about in 2017! ​Following a second successful gig after my long enforced lay-off (at the Black Lion, Oswestry), I finally feel that I'll be able to reopen the book from January onwards. I don't intend on playing as regularly as I used to, but really hope to have the chance to return to some of my favourite venues in 2017, and perhaps even some new ones! Definitely ready to move on and consign 2016 well and truly to the past. Not so long ago I genuinely thought I wouldn't get the chance to play a proper gig again, but here we are, nearly 13 months and 3 operations on from the last one, and I'm ready to get back on the old gigging horse! This Friday (25th November) from 8:30pm I'll be cranking up the PA system and strapping on the guitar at BISTRO 7 @ THE DRAGON HOTEL in Montgomery. It seems perfect that my comeback gig should be for Brian at the Bistro, as the very first gig I had to cancel when I became ill was at the first incarnation of Bistro 7 in Welshpool. I was absolutely gutted to have to cancel that one, as it was my very first ever cancellation after 217 gigs! When I cancelled that gig I just thought I had laryngitis. Little did I know what was to come, with a whole year wiped out. 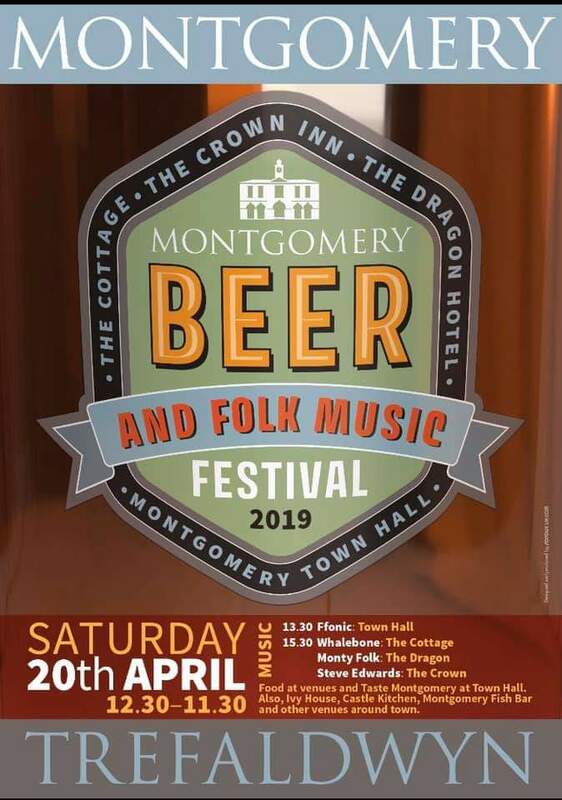 So, this is a perfect chance to put all that in the past and start moving forward, and what better place to do it than in the lovely bar at The Dragon, thanks to a booking from my great mate Brian the Chef. I have no intention of letting him down this time! electro-acoustic guitarist / vocalist, based on the Shropshire / Mid Wales border.